The hippies weren't supposed to be about money. 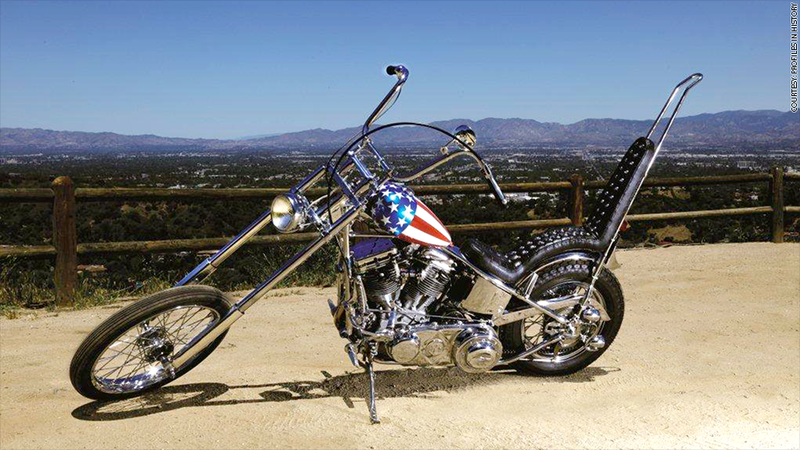 But the all-American chopper ridden by Peter Fonda in the anti-establishment film "Easy Rider" has sold for a whopping $1.35 million. The Los Angeles based auction house Profiles in History said the chopper featured in the 1969 road movie exceeded the pre-auction estimate, which ranged from $1 million to $1.2 million. The auctioneer did not reveal the buyer. The motorcycle was custom built, with a stars-and-stripes motif, elongated front frame and funky, laid-back handlebars known as ape hangers. Its distinctive style and starring role in the classic film has made it one of the most recognizable bikes in the world. 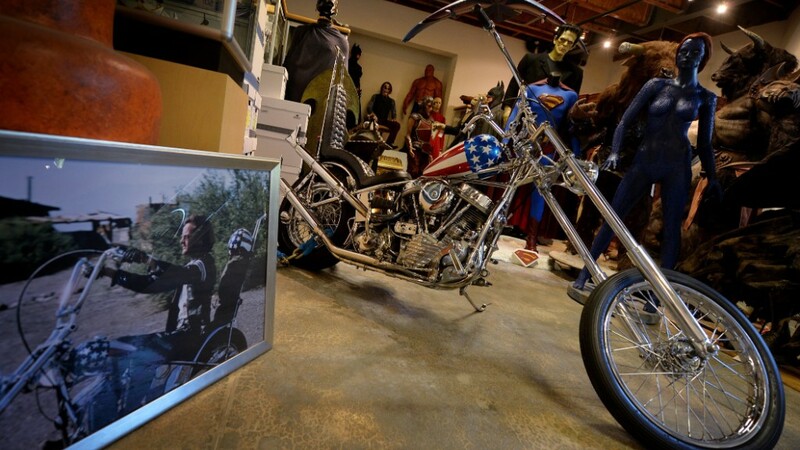 The auction house says it has paperwork to prove that this is the same motorcycle ridden in the movie by Captain America, the biker played by Fonda. And it says there are letters of authentication from Fonda, his friend and fellow actor Dan Haggerty, and the National Motorcycle Museum. Haggerty restored the bike in conjunction with the museum in Anamosa, Iowa, where it was exhibited for 12 years. Haggerty had a bit role in "Easy Rider," appearing in the credits as "Man in Commune," according to IMDB.com. But he was most famous for his title role in the 1970s television show "The Life and Times of Grizzly Adams." "Easy Rider" co-starred the late Dennis Hopper, another legend among Hollywood hippies. Hopper's friend, the movie star Michael Madsen, dismissed the paper trail of authenticity when he told the Los Angeles Times that the auctioned bike was not the real thing. "Dennis Hopper, from his grave, is telling you, through Michael Madsen, 'That ain't the Captain America bike,'" he told the Times. Profiles in History refused to comment on Madsen's claim to the Los Angeles Times that the bike was stolen, broken into parts and sold. But the auctioneer's press release said there were two Captain America bikes used in preparation for filming, and the other bike did indeed meet the fate described by Madsen. "The whereabouts of the other Captain America bike is unknown," said the press release. "Prior to the film's release, that Captain America motorcycle was stolen and presumed broken down and sold for its parts." Speaking from a film set in Romania, where Madsen is currently making a movie, his manager Bruno Rosato said, "He (Madsen) knows the real story."